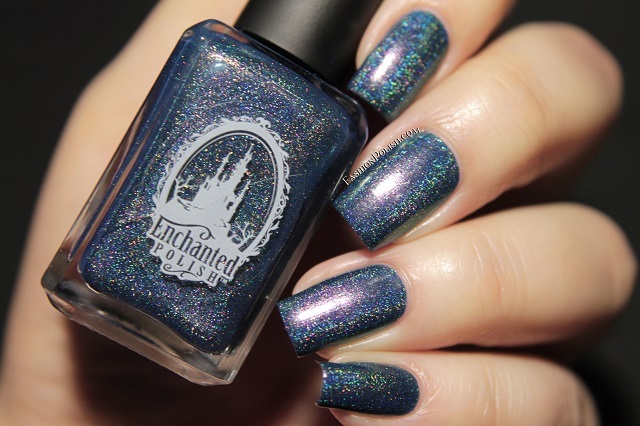 If you've been following me on Instagram, then you must know that I posted a sneak peek of the latest Enchanted Polish collection last week. 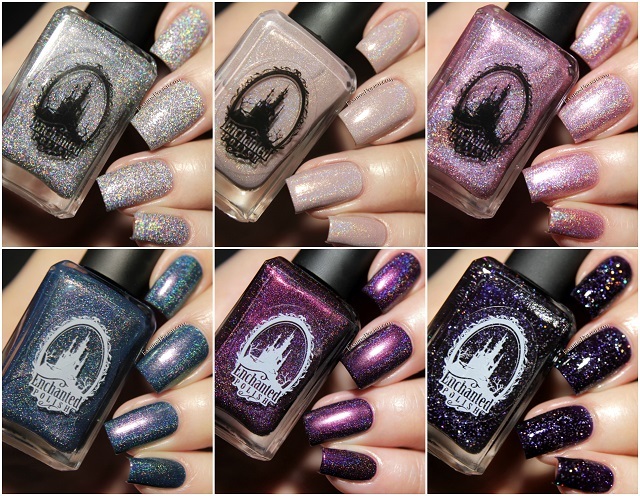 The EP Spring collex was originally released on Saturday, February 6th but they are being restocked tomorrow the 27th at 10am PST so let's give them a closer look! 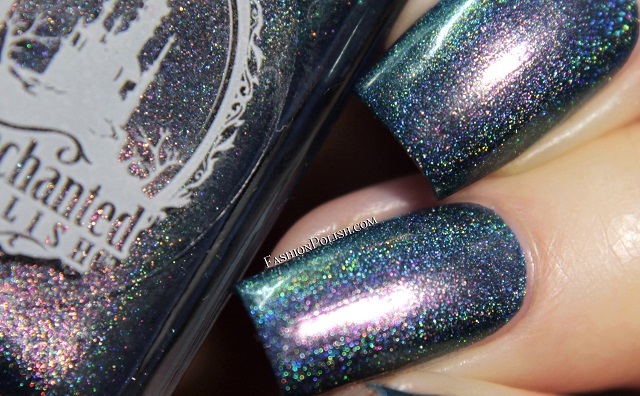 Rainbow Ashes is a heavy mix of holo micro flecks in a clear base. 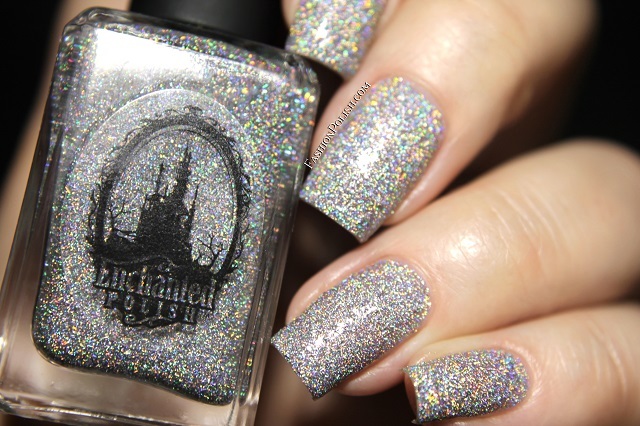 It has an intense holo effect that just pops! I used 2 coats and no topcoat. 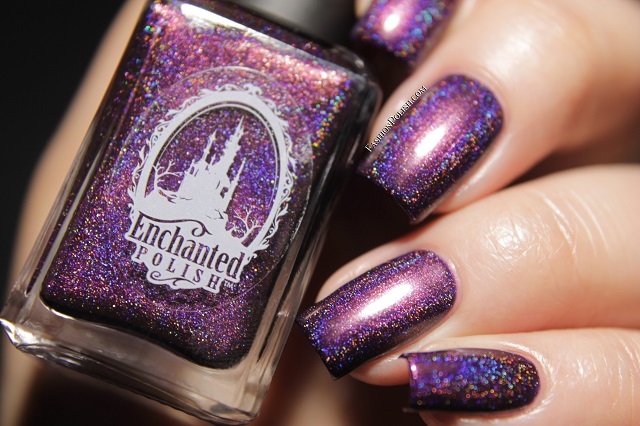 Tulle is a soft blush holo with a mauve hue. This one will look totally different depending on your skin tone. On me, it looks really cool toned. Formula was butter smooth and perfect in 2 coats. 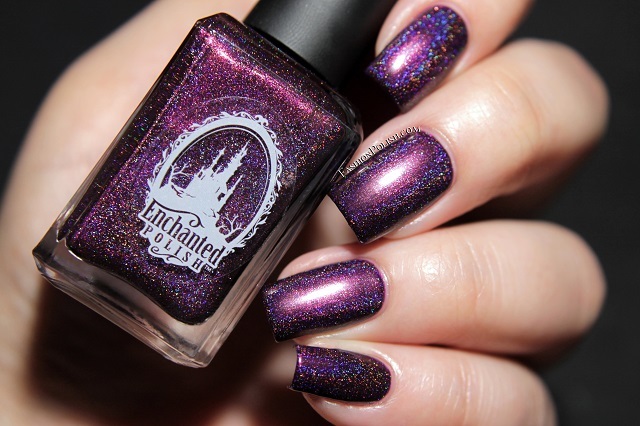 Faerydae is a cool pink holo with matching micro shimmers and a glass flecked / almost metallic finish. This is 2 coats and no topcoat. 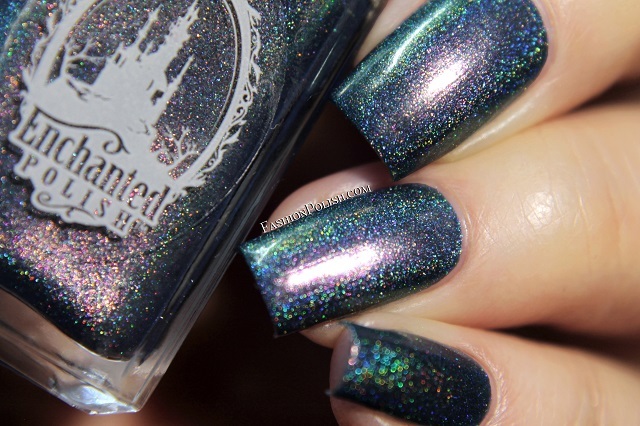 Time Travel is a teal holo with a strong magenta/green color shifting shimmer. An Engineered To Destroy little brother and just as much of a stunner! Coats used : two and no topcoat. 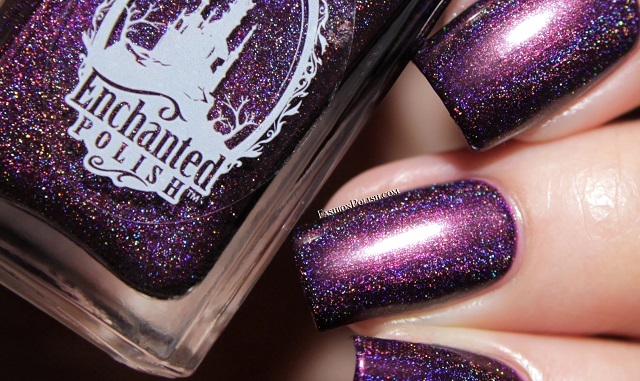 Telenovela is another heart stopper, a rich purple holo with an intense glow. 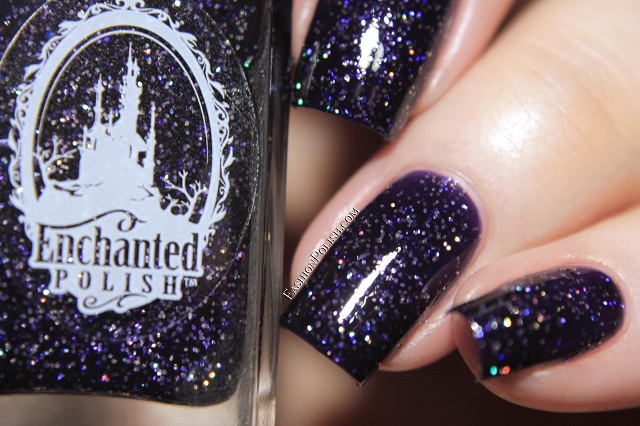 I used 2 coats and no topcoat in my swatches below. 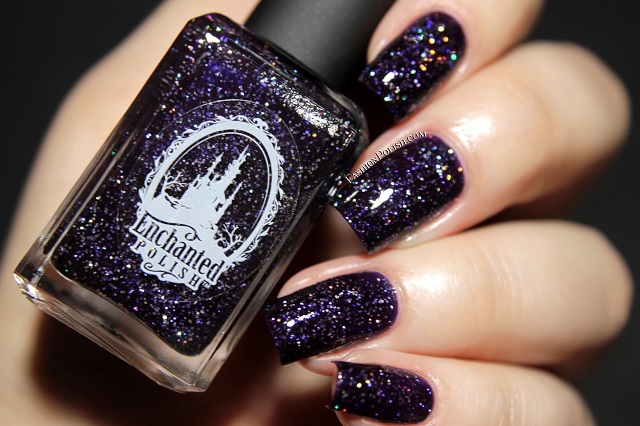 Stellar is a deep indigo jelly packed with coarse holographic glitters and a strong sparkle. I wasn't sure I would be able to reach sufficient coverage with 2 coats but I did so that's what you'll be looking at. I hope these swatches helped you choose your favorites for tomorrow's restock, thanks for looking!